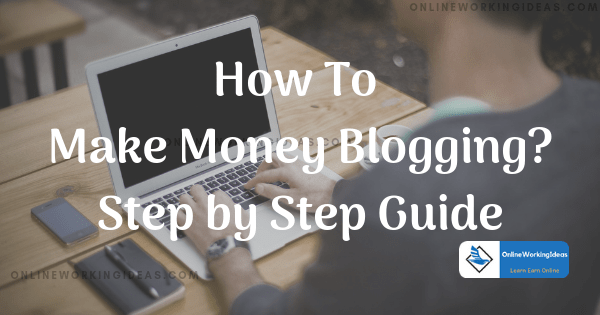 Know how do bloggers make money with a blog. you may be heard of some of the best online influencers like Joanna Goddard, Pat Flynn, or some other names who are earning their full-time income thru blogging. 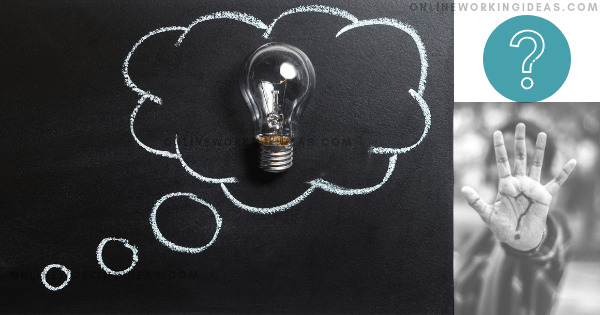 Years before, When I came to know about top bloggers, I was curious to know “what is blogging and how to make money from it”? As like you, I was also eager to know, “How do bloggers make money from blogging”? “How bloggers make money from blogging”? “Is it worth doing blogging”? You will find the answer for it in this post, also I explained “How a blogger makes money from blogging”? step by step in 2019. After reading this post, you will get the overall picture of how a blogger uses his website with posted articles and make money from it? Ok, let us get into more detail! Nowadays, one question that everyone has in their mind is, “How to make money online”? I too asked this question many times within myself., There were situations when I search for some sources to rely on and earn extra money for a living. I explored the internet from morning to evening to find the answer for it. Some people told possible and some said not. Initially, I tried surveys to make money. I registered in many survey sites and started doing surveys for money. Yes!, I made money from it, but it was like pocket money, some survey sites paid monthly some don’t. I can’t able to trust it as a reliable source of income. Maybe I don’t know how to earn from it, but the thing is, I was not satisfied with the PTC websites, survey sites business model and the way of working to generate income from it. I was searching for a way which should be genuine, reliable, useful for my future, like which I can turn it as my full-time career in the future. After some period of time searching the internet, I came across with some genuine peoples blog which guided me for conclusions and helped to take final decisions. I knew, nowadays also many peoples are surfing the net with the same question in their mind, “Is it really possible to make money online”? The answer is “YES IT IS”. There are many ways to earn a decent income from online, Blogging is one of those methods to earn money from home. This post is the continuation of one of the methods of “Top 3 Best ways to earn money online in 2019″. A blog is derived from the word weblog. The blog is a website or a page, which is updated regularly by a person or multiple persons. The blog owner is known as the blogger. He writes and shares the articles, experiments, tutorials, and whatever he likes, etc with the visitors regularly. Anybody can create a blog and make money from it. If you solve the Purpose of blogging then there is no doubt that you will attract huge traffic to your website. So, First, we shall see the Purpose and other important factors of Blogging. The Purpose of Blogging differ from men to men, it will vary from each individual. The personal blog is written by an individual, it may be to share the information or to help other people by providing the solution to their queries. People do it with a passion and some peoples to earn money. A corporate blog is carried out by companies and corporates. Their main purpose is to provide information and to promote their service, not money making, they provide information about their products to the public for their understandings. In Tutorial blog peoples share information on how to’s. This blog act as a guide to other people needs. How a blogger makes money from blogging? As I told, a blogger writes and updates the content on his website regularly, which attracts many visitors to his blog. So, a blogger has his own followers and visitors on his website. Now, blogger has an option to show an ad to his visitors relating to his blog content or some other general advertisements. 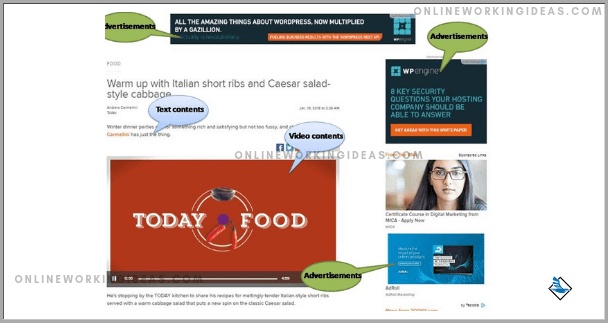 So, a blogger shows advertisement between his content and earn money from the ad providers. This is one of the ways to earn by blogging. The other way is planting affiliate links between the content to earn money. If a visitor, purchases a product with the link provided in the blog, the blogger will receive a small commission for purchase. And many other ways are available to earn, but this post speaks only about blogging. “How to earn money online”? “Best places to visit in Europe”? Image below shows a clear explanation of how bloggers make money blogging. This is how bloggers make money blogging. Then bloggers updates and post the new content regularly to sustain the visitors. Blogger builds the engagement with the audiences and makes them visit again to his blog. Blogger earns money with by monetizing the website with the advertisement or by promoting an affiliate product. Above is the concept of making money with blogging. If your blog has more visitors, then one of the methods to make money from it is by placing advertisements on the blog. Google ads, Media.net, facebook ads, revcontent, are some of the popular ad networks in the market. 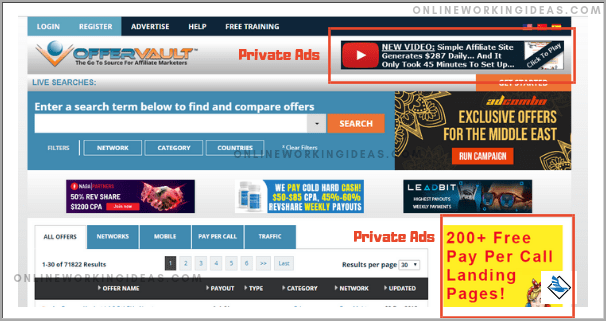 There are two types of advertisements, that is CPC/PPC and CPM. CPC stands for Cost per click (pay per click) ads which are placed as banners on the websites. Pop-ups, and under ads are also used in the blogs to display advertisements. In CPC ads, when a reader clicks on the ad, the blogger is getting paid for that click. Another type is CPM which stands for Cost Per 1000 impressions, you will be paid by the number of impressions on your ad, they don’t need to click it to generate income. Usually, CPM rates are very low, you can earn only low amount. 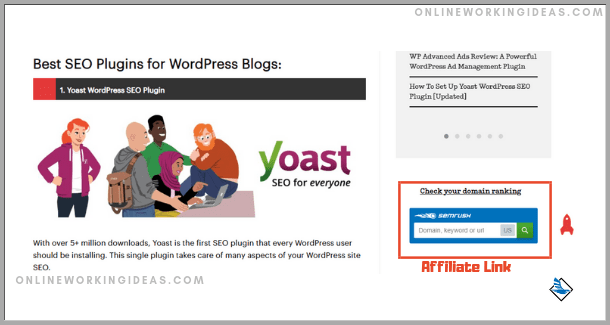 A blogger has to register with the ad networks, to start displaying the ads in their blogs. The blogger’s blog should have the number of visitors and if it satisfies requirements of ad networks policy, you get approved to place the ads in the blog. The requirements differ network to network. For example, If you need to place google ads in your blog, you should have quality content, at least 6 months older domain, sufficient content in the blog etc, to get approved. 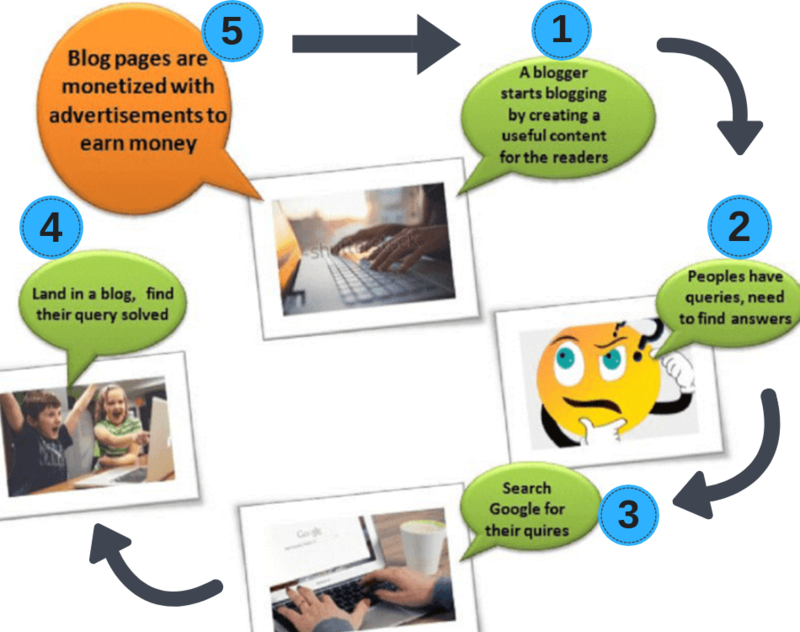 The blogger has to place affiliate links between the contents to earn money from blogging. Since a blog receives a number of visitors, the visitor will read the content and clicks, purchases a product referred to in the blog. If a visitor purchases by clicking the link on a blog, the blog owner receives a small commission for the purchase. A huge number of affiliate programs are available in the market to register and make money from them. Amazon affiliates are one of the most popular and best affiliate programs in the world. Apart from affiliate programs and ad networks, a blogger can sell the space of the blogs to place other peoples ads. By placing the banner on the blog of others, a blogger can charge some amount monthly. Use your blog contents to increase and promote your brand value especially if you own a small business. Create your own products to sell thru your blogs. So, these are some of the popular techniques bloggers uses to earn thru blogging. Then, anyone can create a website with valuable content on a specific niche, to make money from it. I hope now you got an idea of blogging and making money from it. I suggest to bookmark and subscribe to my blog onlineworkingideas.com to learn more about blogging and other genuine methods to make money online. Blogging can be started by following these simple five basic steps. You can explore our other articles and blog reading sequence to know more and learn to become the best blogger. You can create any number of blogs to solve a purpose, make readers to visit your blog, monetize it and earn money. Hey, what do you think about the post? Did you find my information useful? I believe, provided information, solved your query. If you have any query feel free to comment below and share it. What is Google Search Console? and How To Add Website to Google Search? How To Create a Facebook Business Page and Drive Traffic to Your Website? Previous Post What are the freelance work from home jobs? – A Basic Guide Next Post How Much Do Bloggers Make From Blogging?